Forget The Gym was founded in 2006 by Mary Jennings. Originally just for fun, Mary started coaching family and friends to enjoy running. 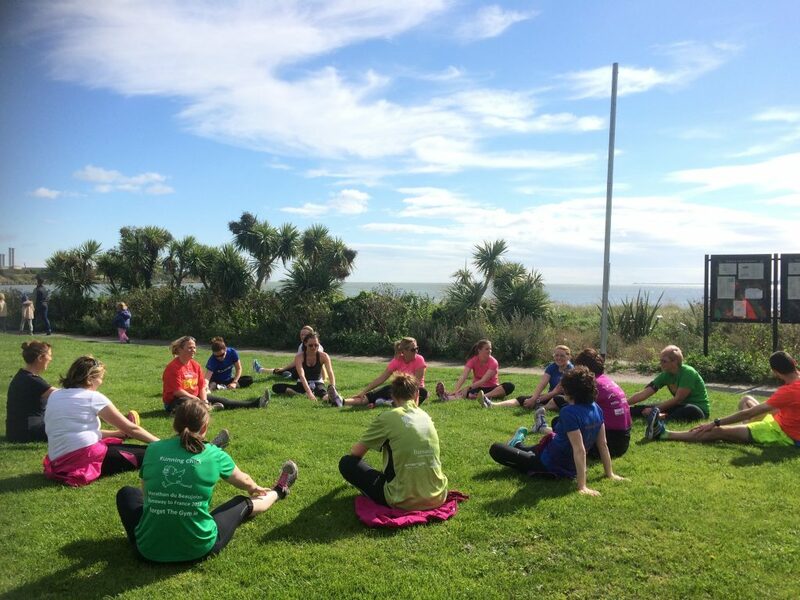 As they started to improve their running, look for new challenges, and tell their friends, Mary left her ‘proper job’ and started coaching Running Classes in 2007 and over the past 12 years ForgetTheGym has expanded now to teach everyone from Beginners right up to Marathon Runners. Over the years we have worked with a team of increidble coaches who have become part of the Forget the Gym family. At the moment the duo of Mary and Aoife coach classes and workshops. Both mums of young children we are mad about running, but we are normal – we certainly have days when we can’t motivate ourselves to go for a run! But we do so love the feeling after a run (see the picture below as an example). That’s why we want to share the love of running with you all. We don’t shout, scream or scare you off running in our classes, instead our aim is to get you started, build your running confidence and keep you motivated and inspired to keep on running….. Forget The Gym is constantly changing, as our students change. Who knows what the year ahead might bring. To read more about Mary, you can see her Qualifications or check out her new book Get Running or her Marathon Tourist Blog . For years I did no exercise myself, and never paid any attention to what I was eating! Then I was introduced to jogging, and couldn’t believe the impact exercise and healthy eating had on my wellbeing, confidence and body shape! I never believed I would end up enjoying exercise, completing over 45 marathons, ultra-marathons and having a whole new outlook on life. It changed me so much, I took the scary move of leaving my sensible but stressful Management Consultancy career, and I retrained as a Personal Trainer, Nutrition Advisor and Running Coach. I set up Forget The Gym to empower everyone to believe they can be fit, healthy, confident and glowing. Forget The Gym started out in 2006 when my first customers were friends and family who had seen and heard about the changes that running had on my life. Over the past 12 years ForgetTheGym has grown thanks to a wonderful team of students and running coaches.